Going to be in Virginia this summer? Here are a few waterfalls for those unbearably hot southern summer days. Is there anything more refreshing than swimming under a waterfall on a hot summer day? Escaping the summer heat in a freezing cold pool of water and then sunbathing out on warm rocks is one of my all time favorite summer activities. I've never not had fun while doing it. 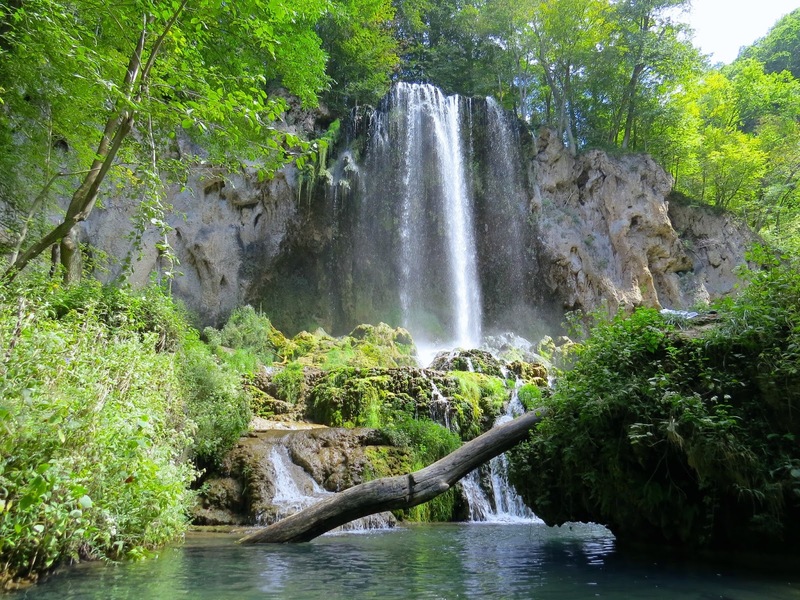 So, with summer unofficially here I have rounded up my 5 favorite waterfalls, with swimming holes at them, for your enjoyment. This little waterfall has a swimming hole underneath as well as a swimming hole about .3 miles before you reach it. The area is gorgeous and not as crowded as some of the other swimming spots in Virginia. However, the trails are unmarked and it's easy to stray off of the main trail. Be sure to read through the directions thoroughly before attempting this hike. But once you find it you'll never want to leave! This waterfall is definitely one of the better (best) ones in the whole state of Virginia. It seriously feels like you've stumbled upon a tropical oasis. There are swimming holes along the river above the falls (don't worry, they're fall enough upstream that you won't be close to the top of the waterfall) as well as some at the base of the falls. I highly recommend this area and while you're there be sure to check out, or even camp at, Lake Moomaw! 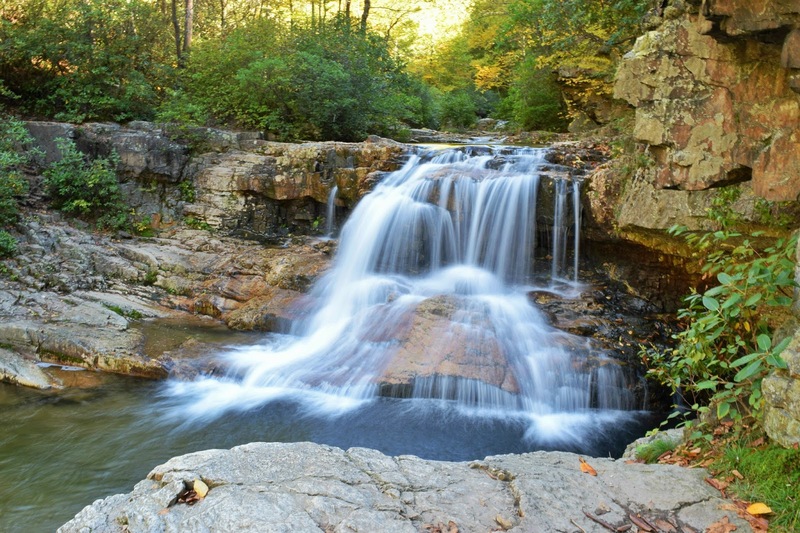 This waterfall is probably the most popular waterfall in Virginia and for good reason. If you do the whole hike up White Oak Canyon Trail you'll pass by countless waterfalls. The lower falls is a great place to swim and cool off because it's not too far from the parking lot and there are actually two waterfalls, both with little swimming holes underneath them (two falls pictured above in the late fall). A popular summer destination for locals and college students alike, this gorgeous waterfall plummets down into a deep, big swimming hole. If you're feeling extra adventurous you can hike past the waterfall up to Barney's Wall and enjoy the sweeping views before hiking back down to take a dip under the falls. A not-so-well-known waterfall (except maybe to locals and camp goers) this waterfall is located on private property, more specifically, Alta Mons Summer Camp. You can access this waterfall anytime summer/winter camps are not in session, all you have to do is sign your name on the wooden kiosk located in the parking lot. However, when summer camps are in session you have to wait until the weekends to access the waterfall. As always, please be safe while swimming in waterfalls. Even small waterfalls have strong currents underneath the plummeting water that can drown the strongest swimmers. Be careful when stepping on rocks and terrain around waterfalls, often mist and water from the falls can make surfaces slick. Also remember you can't see all moss! Rocks can be lethally slippery (literally! people die all the time at waterfalls) so never assume where you're stepping is safe. If at any point you feel unsafe or uneasy, LEAVE THE AREA! Trust your gut. Thinking you won't be a statistic is your first mistake, so assume extreme caution when around waterfalls! Be safe! !